I want to thank Art Hogarth, Jason Morales and Adam Findlan of the Denver Microsot Tech Talks team for the opportunity to speak with Theresa Eller on how to Manage Success in Microsoft Teams. The turnout was great from the local community with IT Pros from across many different business types as well as those supporting government agencies and military branches. On top of the great attendees, the nacho bar was the hit of the day! 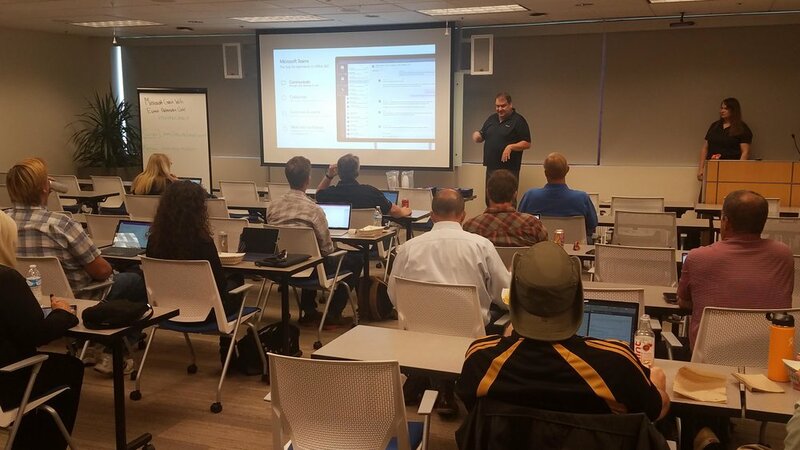 The attendees got to listen to me talking about the infrastructure and services that Microsoft Teams utilize. After surviving my presenting, they got to see some great demos from Theresa showing how Microsoft Teams could be used and integration with Power BI. On top of the great information, we got a lot of great questions from the audience and valuable conversations from the questions and answers. The sides that were presented during the Tech Talk will be available by clicking the following button and finding the October 2018 Tech Talk.